Search boxes don’t have to be boring, you can add interesting elements like dropdowns or hover effects to make them more interactive. To make things easier for you, we selected some of the best search boxes we could find, from simple to more complex search boxes, you can find everything you need here. Plus, we added some PHP search scripts too on this list so you will have everything you need to code these awesome PSD search boxes yourself. This is a really nice search box with a drop-down option. It’s perfect for larger websites and it comes in a fully editable PSD file. The search bar drop-down has a clean design the search box is white and has a green button while the bar itself is light blue. The drop down is a really nice addition, it helps you search using categories which you can select. This search box will offer suggestions based on what you will type in it. If you ever need a search box with suggestions this is a great choice. 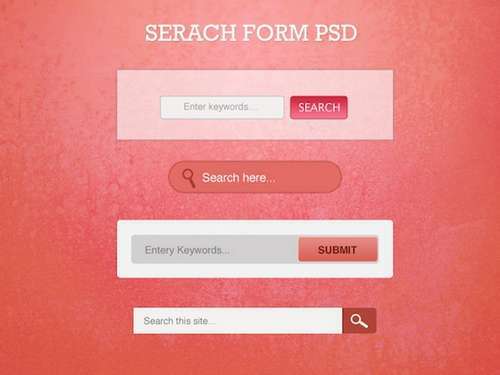 This one is called Serch Field and it is a really nice PSD collection. It was specially created for web designers and developers to ease their work. In this set, you will find 14 different search boxes, all ready to be implemented on website templates. This search field has a 3D effect. The green button is a nice detail and completes this search field nicely. This example would look great on your website. If you’re ever in need of some search forms here are some really cool ones. They’re free and some of them use colored buttons. Try them out, customise them and see how you can use them in your project. 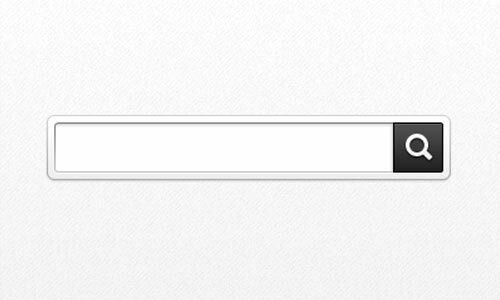 This search field is vibrant and has a friendly interface. If pink isn’t your color you can always edit the PSD and turn this search field into the perfect one for your website. This search box is pixel perfect. It has a dark layout and it was built as a drop-down menu. The dark color scheme the dark background texture look great together. This search field is perfect for a travel agency’s website. All you have to do is write the city you’re planning to visit and pick a date. These search forms are vectorized and will help you get you a jumpstart on your new or existing project. The file is free to use for both personal and commercial projects. 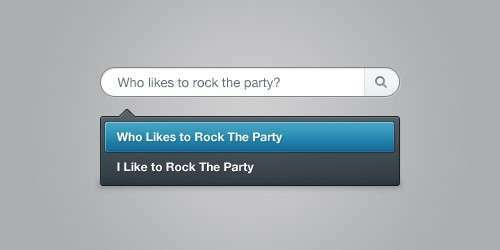 Here is a great design for a voice-activated search form. It is modern, simple and efficient. Use the PHP scripts below to code it. 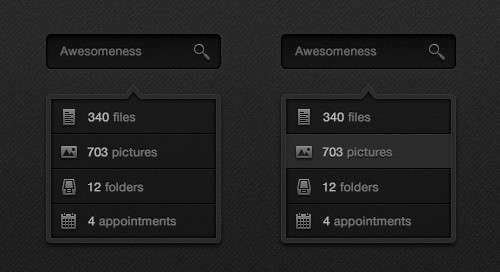 We love this modern, darkly designed search box in PSD format! This freebie was done for practice so make sure to let the designer know what you think of it! 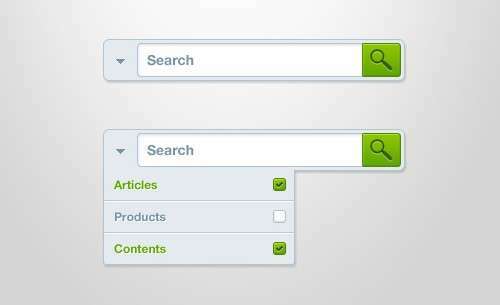 Simple and effective, just what a search bar should be like! You can download this search box and customize it for your needs. Here you have some PHP search scripts for web developers, which can be downloaded and used right away. These are premium PHP scripts with neat functionalities. This hand-picked collection contains useful PHP search scripts for sound search, domain checker, Ajax search form, music search engine, language scripts, live search, affiliate eBay search engine, Codepen engine, PHP web crawler, people search, iTunes search, SEO ranks on Google, and more. Download these premium PHP search scripts! These have easy integrations and intuitive designs. Bulk Whois Domain Availability Checkers checks the availability of domains. This script will offer information about is status, age, and other useful intel. You can download and use this premium script to easily listen to YouTube music. This PHP script lets you search and get results from YouTube and you can use it to create playlists, save bookmarks, comment or even share on Facebook. You can use this PHP script to search people. This search engine will look into records and social networks to find information about the person you are looking for. This gives you a report and lets you learn more about a certain person. This PHP script will come in really handy, especially if you’re a Mac user. This is a simple but very useful application which you can use to search and visualize popular apps for Apple products. This premium app has a very easy installation and a simple configuration. This is a neat PHP script that allows you to quickly save indexing data and query. It is very easy to implement and to use so try it out and see if it is useful to you. This is a faceted search system that was built using Laravel 5.5. It was marked up with Blade template. The search requests perform with AJAX and return the results quickly. This is yet another useful PHP script. Codepen engine can be used to rapidly create a website in only 10 minutes. The website that you build will have a sitemap, social login, cache, rating system, advertising ready, SEO optimized. All you need to do after that is to promote your site. This is yet another neat PHP script that lets you search for domains. With Instant Domain Search, you can see search results as you type. It is built with the newest version of Bootstrap which guarantees that your site will look amazing. Baymatic is an affiliate eBay search engine that is fast-loading. You can use it to search products on eBay by using the EPN affiliate program. LiveSearch is a great search engine that you can use for your website. All you have to do is simply add the PHP file to your project. This allows you to look for text, images, PDF files, on your website. This is a neat PHP script filter that you can use to search for various keywords and generate PSS or HTML files. You will get articles that only use that word. Language Weaver is a great PHP script which can be useful for detecting the foreign language of any text that you insert. You will receive the language name as well as the language code. It supports about 58 languages. LaraSound is a really nice and helpful PHP search script that spares you the trouble of saving an mp3 file to your computer. This example is multilingual, you can use it to connect to social media, has a responsive design, and more. Ajax search form is a very useful PHP script with an elegant and clean HTML template. This script has an easy integration and you can add it to your website in a few easy steps. Last but not least, SoundCloud Search & API integrations is yet another cool PHP search script. 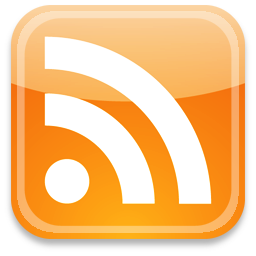 This is an amazing application that allows you to access lots of sounds from the SoundCloud API.